Washington : Scientists have discovered a planet that reflects no light, resulting in being pitch black or rather say darker than asphalt. 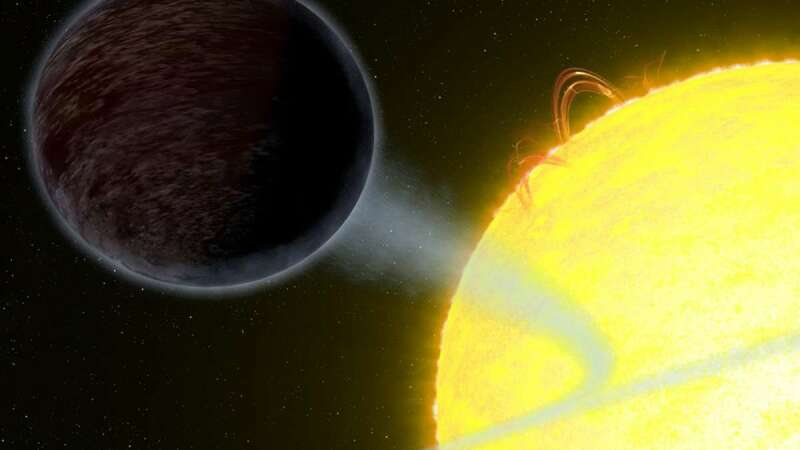 The exoplanet WASP-12b has been found orbiting a star like our Sun but with no reflection of light, making it extremely dark at optical wavelengths. An international team of researchers led by astronomers at McGill University, Canada, and the University of Exeter, UK conducted a study on the planet to learn more about the atmosphere on it. They used Space Telescope Imaging Spectrograph (STIS) on the NASA/ESA Hubble Space Telescope to find the result. The results from their study turn out to be surprising. "The measured albedo of WASP-12b is 0.064 at most. This is an extremely low value, making the planet darker than fresh asphalt! "The low albedo shows we still have a lot to learn about WASP-12b and other similar exoplanets," said lead author Taylor Bell, a Master's student in astronomy at McGill University. It has been learned that WASP-12b orbits the Sun-like star WASP-12A, about 1400 light-years away, and since its discovery in 2008 it has become one of the best studied exoplanets.